Here we are on the Cold Full Moon cycle in the middle of another massive energetic gateway that started on 12:12. This is the authentic Christmas gift to all global citizens of Gaia from the Cosmos. Sure, this is a Chatty Cathy party moon in many ways. So many need to connect at this time of year. This two week full moon cycle heightens the physical connections and the non-physical connections. 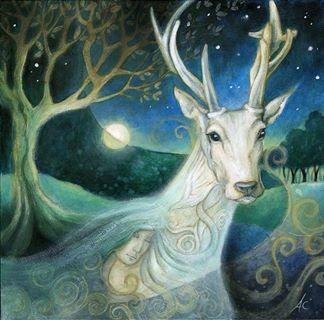 We may experience wild dreams, prophetic inklings and magical occurrences if we stay positive, in expectation of miracles, in gratitude and in peace with the world. It is time to flow for good. This is the way of the Divine Feminine which has overtaken the world at last. We are in a receptive mode now. This means that the doing comes last. First comes the inspiration which is a direct link to the Divine in ourselves. To create inspiration, we slow down and become present. Staying present is not always easy around the holidays when everyone is tugging at us and we tug and kick at ourselves also. We can actually forget who we really are at this time because the focus on others is so fierce. Let’s unplug alot, take baths alot, self-nurture alot, if we can. Let’s take one thing at a time. Let’s release all the multi-tasking that we were so proud of cause we got so much done yet were exhausted for days and on the brink of ill. Do less! What a concept!!! All this busy, busy, commercialized nonsense is destructive to our souls. It prevents deep communion at this rare and special time. Simplify your Christmas and concentrate on true values. The beauty around us and in us. The special people and pets in our lives. Love of the Divine within ourselves and others. I personally am humbled at this time of year because so many unexpected and magical things happen to me. I am touched by so many little, simple things and the awesomeness of being alive is magnified. This Big, Cold Full moon heightens this emotional time. Flow with it and enjoy it all. At this 2013 Sagittarius New Moon we are confronted with our best selves after diving deep into Scorpio waters, recognizing the Saboteur and the Shadow and then seeing the positive aspects of both. We are now burning in Sagittarius bonfires of fun and celebration after shedding more unnecessary and burdensome armor that has prevented us from expressing our authentic selves. It is time to fall in love with ourselves for good! 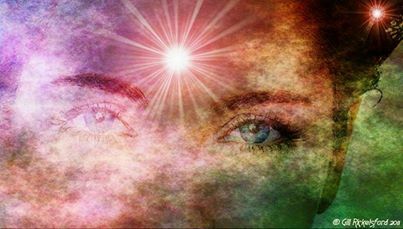 As we move into higher, finer vibrations of love and light, we send out powerful signals with our thoughts and feelings. We have become magnets. True love is recognized in this rarefied atmosphere and the Divine attaches more love to it. All good things that belong to us come to us with ease whem we stay in this positive bubble! Immediate feedback is what we are experiencing based on vibration= thoughts and feelings. Action becomes the intuitive Divine inspiration that comes last. Of course, if we are not feeling love all the time, the place to return to first, is self-love. Any negative feelings spring from a deep root within that is only truly satisfied by self-love. No-one or no-thing but YOU can heal YOU! Our connection to the Divine within each of us is becoming ever more available. Considering the mirror effect is also speeding up, events and others will show us how we feel about ourselves at any given time. This can be challenging or we can choose to take responsibility, ( the ability to act) raise our vibration and treat this as the learning curve that it is. We are in PLANETARY training!!! Life is ongoing, changing, shifting, morphing and so are we! Crossing into this new moon of probabilities, possibilities and startling’ Aha’s’ is year-end magic if we can slow down and feel it. Most of all, let’s truly love ourselves. Remember, there is only one YOU! The most important love affair we will ever experience in this life is with ourselves. When we have truly fallen in love with ourselves then deep soul love with another is inevitable AND the cherry on top of this life!!! Embrace the mystery of life and we enter this new territory together. We have opportunities to blaze new trails with a JOY that lifts the ordinary into the extra-ordinary. This life is heading into the stars, my friends! Let’s open our minds, master our four bodies (spiritual, mental, emotional and physical ) and be SUPERBEINGS. Ho!